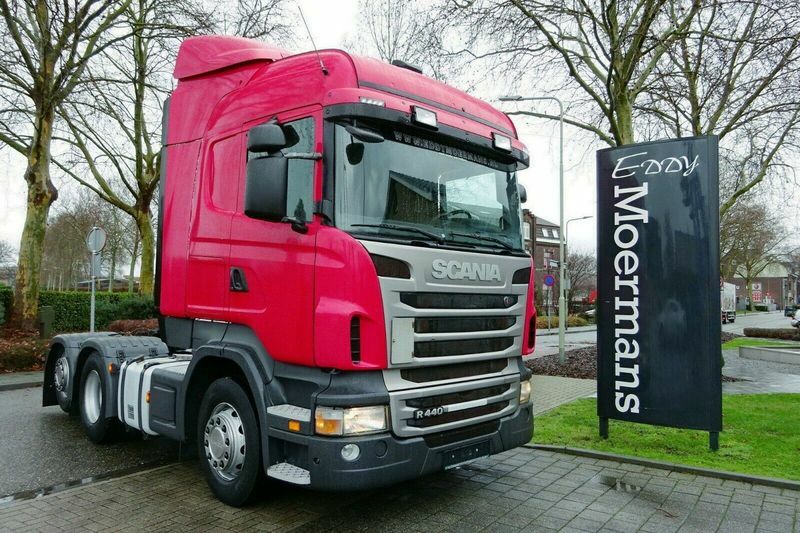 Used tractor unit Scania R440 Highline 6x2 for sale by Eddy Moermans Handelsonderneming b.v.
Our SCANIA R 440 tractor unit are available in a dealer's stock under your request. Engine details/gearing and fuel type: Euro 5, diesel, 441 hp, gearbox: automatic. The mileage is 634740 km. Try the customer-oriented service, provided by Eddy Moermans Handelsonderneming b.v..